I couldn't resist the play on words for the title. Especially since the seafaring birds are always scampering in and out of view and there's something special about an ocean pier. 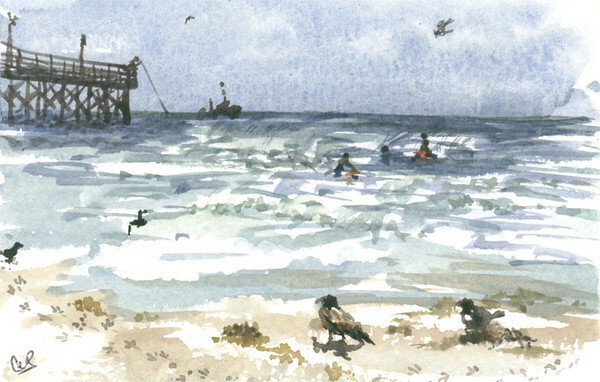 This is one of several watercolor postcards that I painted while on vacation at Myrtle Beach with my sister and two nieces. If you look into the water you can see them enjoying the waves.